What are the Parts of Medicare? 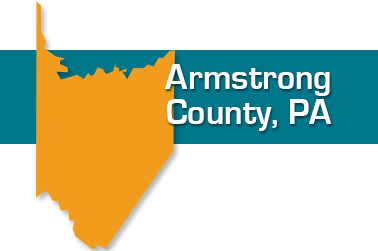 If you live in Kittanning, Ford City, Leechburg, Freeport, Apollo or any part of Armstrong County, Your Health Insurance Shop can help answer your questions about Medicare. Since Medicare only covers about half of a retiree's health care costs, most seniors choose some sort of supplemental coverage to pick up co-pays, deductibles and out- of- pocket expenses. Your Health Insurance Shop advisors can help you sort through the decisions you need to make about choosing supplemental coverage and a prescription plan. Call today at 724-940-9490 and talk with one of the advisors at Your Health Insurance Shop or complete the form below. We are glad to answer your questions by phone and willing to set up a time to meet with you in your home or at a place convenient to you in your own community. Learn more about our Health Savings Card to save on out of pocket expenenses at a large network of providers. Open Mon- Fri 8 am – 5 pm or by appointment in your local area. Offering Individual Health Insurance to clients in throughout western Pennsylvania. Benefits and life insurance services provided through NFP Corporate Services (PA) Inc. and , Inc., subsidiaries of NFP Corp. (NFP). Property and casualty insurance services provided through NFP Property & Casualty Services, Inc., a subsidiary of NFP. Doing business in California as NFP Property & Casualty Insurance Services, Inc. (License # 0F15715).